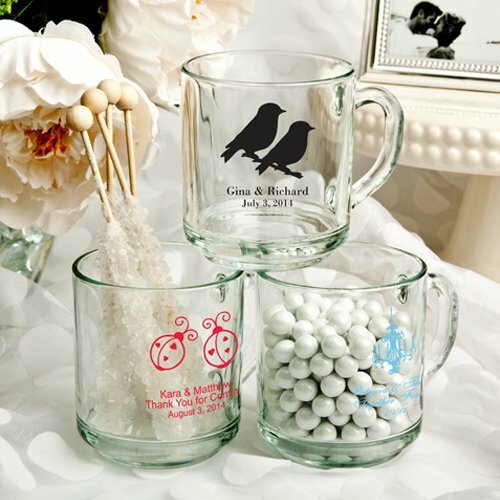 Winter wedding guests will use these keepsake mugs over and over again in their own homes long after your big day. 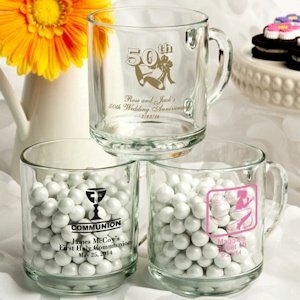 Each 10 oz glass mug can be customized with your choice of ink color, design (over 50 to choose from), your names and wedding date. 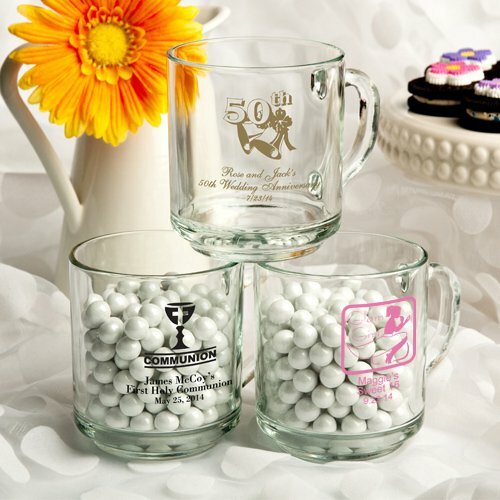 Gift boxes for these glasses are available, for an additional fee, during the checkout process.Note: For sample orders, you will not be able to specify personalization. Your item will consist of a random representative sample. I would like to order about 75 pieces in pink & 50 in blue. Will the rate be different? Also,when do I have the option to select to buy boxes for the item? 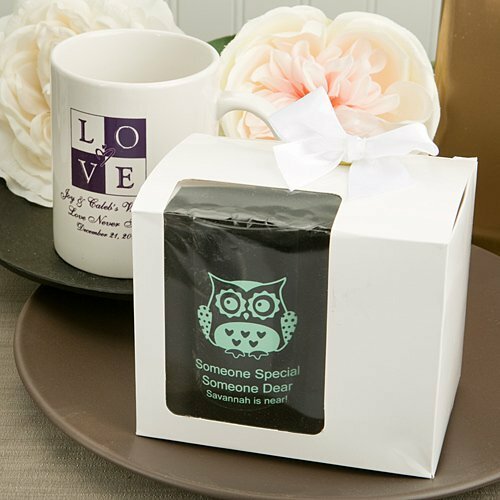 Yes, the price will change as there's an Artwork Setup Charge of $45 and in the personalization/preview section "Add-Ons" for you to add a gift box for this Personalized Special Celebrations Glass Mug.